At Golden Finishes we have been producing biker badges for clubs for over 20 years. 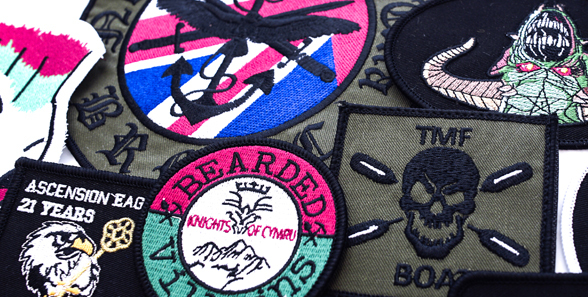 We produce biker badges ready for you to sew on. 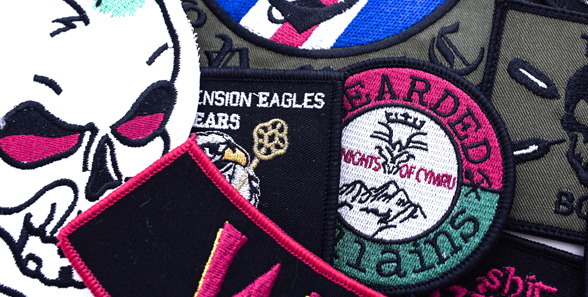 Biker sew on badges come in a selection of distinctive styles, sizes and colours. 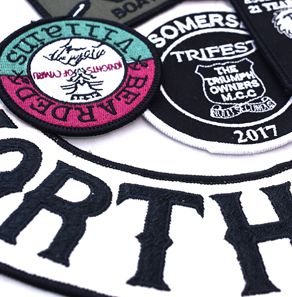 Our in-house team will design your biker badge and re-draw it using specialist technology, we also use modern print and embroidery technology to deliver a quality finish on your biker badge. We aim to dispatch your biked badges to you in just 5-7 working days, get in touch with our team to find out more or to discuss how we can help with your biker badges. Is there a minimum order for biker badges? 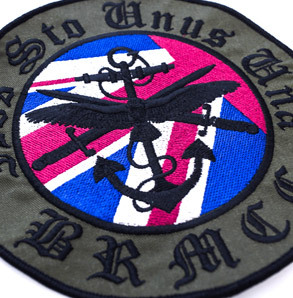 We have a minimum order value of £50+ VAT for all orders including biker badges. What options are available for biker patches? Biker badges are available in a selection of sizes, styles & finishes. 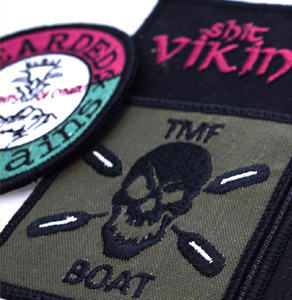 Our team can help advise you the best method for your biker patches. How long does it take to process your order? We will aim to dispatch your biker badges in just 5-7 working days, if you have a set deadline let us know. How do we deliver your patches? This depends on the size of the order. 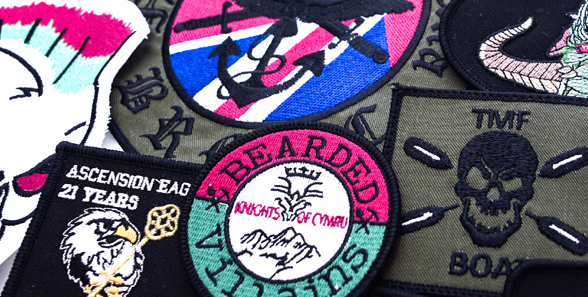 Most biker patches will be sent out using Royal Mail Next Day delivery, in some causes we may use a courier. For more information on Biker badges and our services, please don’t hesitate to contact Golden Finishes on 02920 755733 or email info@goldenfinishes.com.